It’s been a few days that I noticed the metro commuters are very less than it used to be one week ago. No, there ain’t any holidays or special occasions: it’s just Delhiites trying to avoid the hazardous levels of outdoor air pollution that has been hunting Delhi NCR since Diwali. And one of the recommendations to protect yourself is staying indoors. After Diwali night on October 19th, I did like many others and ran away from Delhi as soon as I could. Seven days in Thailand’s blue sky, fresh air and beautiful beaches gave me the peace of mind and extra breath to come back and keep up with Delhi’s active and turbulent live. I just wish this trip lasted longer: once I reached Indira Gandhi International Airport, I confess rethinking about the decision of coming back to India. It was 9h30am on that November 7th and a blanket of smog covered almost everything in our sight – visibility of 300 metres, to be more precise. The next day I came to know that the previous Tuesday’s Air Quality Index (AQI) was at 728, a level which is harmful even for healthy people. The last time city’s AQI had dropped to this level was on October 20, a day after Diwali. That fact made the Indian Medical Association to declare a public health emergency in New Delhi, leading to a holiday for all primary school students and a call upon the Graded Response Action Plan (GRAP) – which was not fully implemented as it should be. The measurements to curb pollution should have been taken before the situation became unbearable, and not after it. Today is November 17th, and the pollution level climbed to 12 times above the recommended limit. There’s a lot to be done to change this pattern, but apparently nobody wants to take responsibility for it. 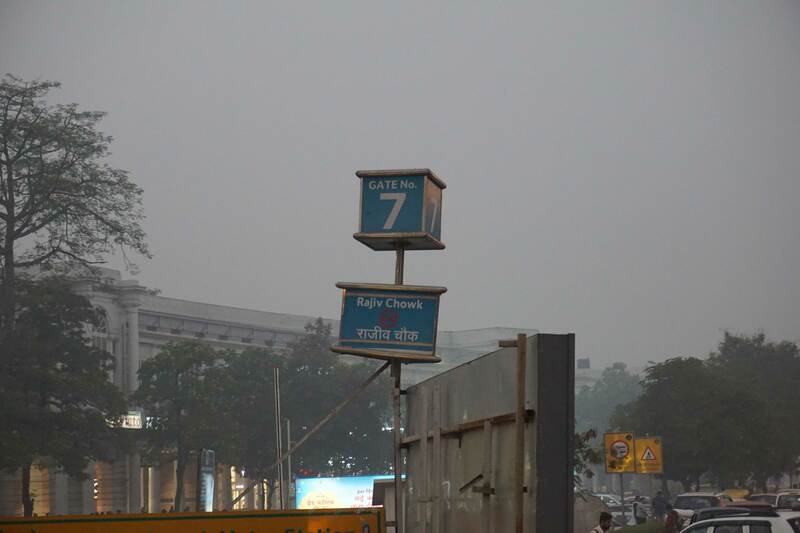 In New Delhi, government officials said they knew what was needed to control the smoky haze, but nothing would be done, at least this year – after all the previous tentatives of curbing the pollution levels failed. They tried everything: banning trucks, diesel-run power generators, construction sites and garbage burning, sparkling water over the city, increasing prices on parking fees, etc., but all these steps were ineffective. Now politicians are literally relying on God’s will and hoping for the best, aside from giving excuses and blaming each other for the inefficiency. As the choking goes on – either by stubble burning or by a dust storm -, respiratory diseases are killing 10 people per day only in the National Capital Region, according to the health ministry. I cannot name one single person that is not suffering from the air pollution right now. Everyday I hear people complaining, coughing, calling upon masks and air purifiers to protect themselves. Me and my friends are getting sick. Can’t imagine how is the situation for those living or working on the streets, if me and my flatmates cannot even maintain our home clean. There’s dust everywhere, even though we keep all doors and windows closed, take our shoes off before coming inside and sweep the floor everyday. We have an air quality monitor in our balcony, that is always covered in dust. I’m afraid to check the AQI readings: at 8h30am, the morning after Diwali, PM2.5 readings went from 334 to 609 – considered as hazardous. The families and children in my neighbourhood did not seem to care much, considering that they were all pretty much engaged in burning firecrackers the night before. This shows how much people are unaware about the danger caused by such crackers. Meanwhile, jokes, cartoons and memes on Delhi’s smog are going on all over social media. The city already has new nicknames, such as “gas chamber”, “masked capital” and “smog-choked” capital. But don’t lose hope, folks. 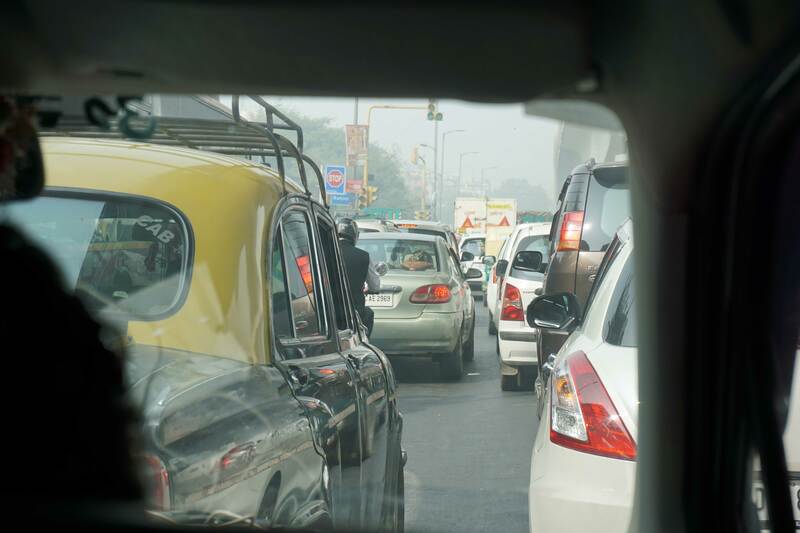 The “Pollution National Capital” still has rescue – you just have to do your part. Car pooling, giving preference to the public transportation and make proper waste disposal are a few habits you should introduce to your daily routine in order to increase the air quality in your city. Don’t wait until you start choking to actually start doing something.